Sun protection is paramount in the summer, and all year round. But since sunscreen isn’t recommend for babies younger than 6 months, you need to protect your baby in other ways. RoSK Organic Cotton SPF 30 Sun Cover will provide shade and sun protection to your tot no matter where you are or how she’s traveling. The machine washable cover comes in four colors and is made to be used for newborns to 4-year-olds. Two sets of ribbon ties make it easy to tie the cover to strollers, carriers, and more. Because the fabric is lightweight, you won’t be adding warmth, an important factor on days when the temperatures soar. Added bonus: The covers also double as nursing covers for breastfeeding on the go. Sun protection is paramount in the summer, and all year round. But since sunscreen isn't recommend for babies younger than 6 months, you need to protect your baby in other ways. RoSK Organic Cotton SPF 30 Sun Cover will provide shade and sun protection to your tot no matter where you are or how she's traveling. 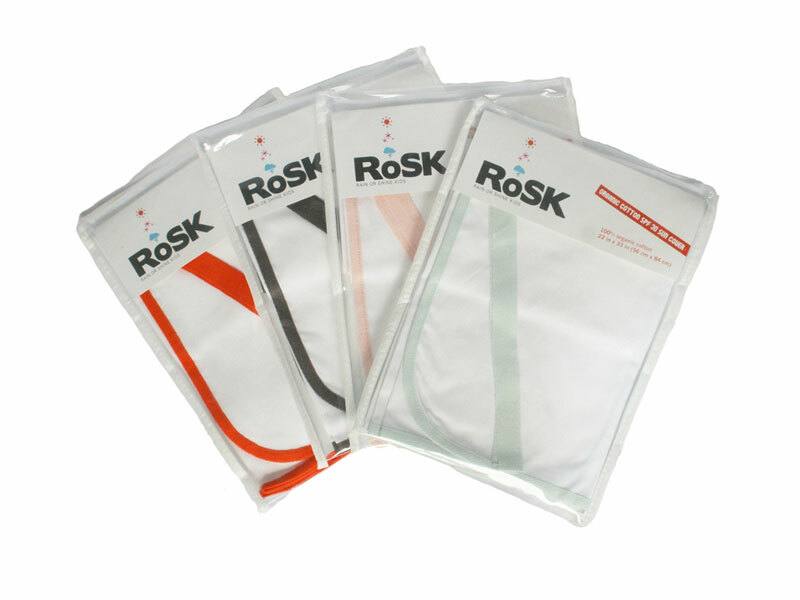 The machine washable cover comes in four colors and is made to be used for newborns to 4-year-olds. Two sets of ribbon ties make it easy to tie the cover to strollers, carriers, and more. Because the fabric is lightweight, you won't be adding warmth, an important factor on days when the temperatures soar. Added bonus: The covers also double as nursing covers for breastfeeding on the go.